Yesterday, we reported on an appearance by Apple design chief Jonathan Ive at the UK Trade & Investment department's Global Business Summit on Creative Services in which he talked a bit about Apple's design philosophy and its focus on making great products rather than simply trying to maximize profits by cutting corners. The Telegraph has another report on Ive's appearance, highlighting his discussion of how the iPhone was "nearly shelved" as Apple struggled to deal with a number of issues, apparently including a search for a proper proximity sensor that would reliably turn off the device's screen when it was held to the user's face. 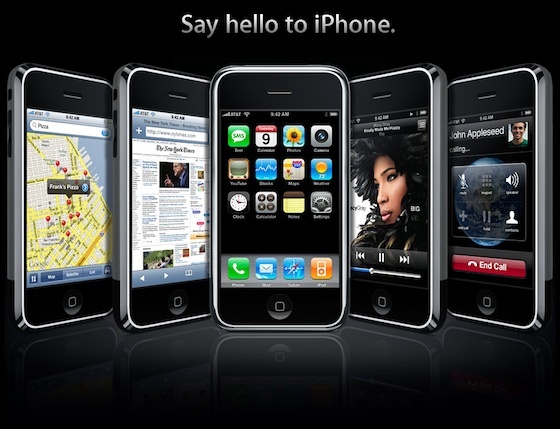 Ive's comments on his experience with early iPhone prototype come just as a number of such prototype designs have surfaced in court documents filed as part of a legal battle between Apple and Samsung. Apple actually began work on a tablet before the iPhone project got underway, with one early tablet prototype from that 2002-2004 period having surfaced just two weeks ago. Apple was working on a phone at the time, but once Jobs realized that Apple could bring the multi-touch interface of the tablet to a phone, the company focused its efforts on the iPhone project and essentially set the tablet project until it was reborn as the iPad. Had it not been for Apple, Samsung would still be the underdog mobile phone provider with Nokia, HTC, and RIM dominating the marketplace. We are going to find out just how gullible the buyers are, when this "new" model is introduced. Yet even worse, so will Apple. If they sell like I expect they will in massive quantities setting even more sales records, that will validate Apple's choice to foist off this old design, over and over and over again. Hah. Of all things that could potentially be "unsolvable" in the iPhone who would have guessed proximity sensor?